It's hard to keep this in mind when I find myself becoming a bit of a hypochondriac. Every cough or sniffle reminds me of my proximity to sickness. With a calendar filled with singing commitments, I know this is definitely NOT the time to be sick. Pro Coro had a Christmas concert in Sherwood Park at the start of this month where we resurrected some familiar songs from our 'Once Upon a Time' concert (by the way, that concert is available for your streaming pleasure on CBC Music at this link). Our Sherwood Park concert was a good chance to sing through our Christmas repertoire for our larger Christmas concert at the Winspear Centre this Sunday. 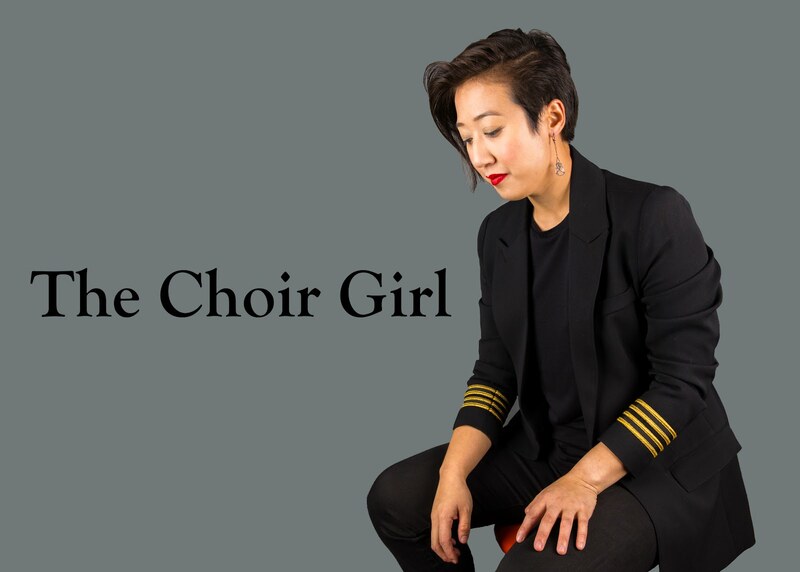 Some of the works on the programme is Benjamin Britten's "Ceremony of Carols," which is a choral favorite of mine from my treble choir years, Chilcott's "Rose in the Middle of Winter," Whitacre's "Lux Aurumque," and Nickel's "Creator Alme Siderum." Nickel's piece was premiered by Pro Coro two seasons ago. 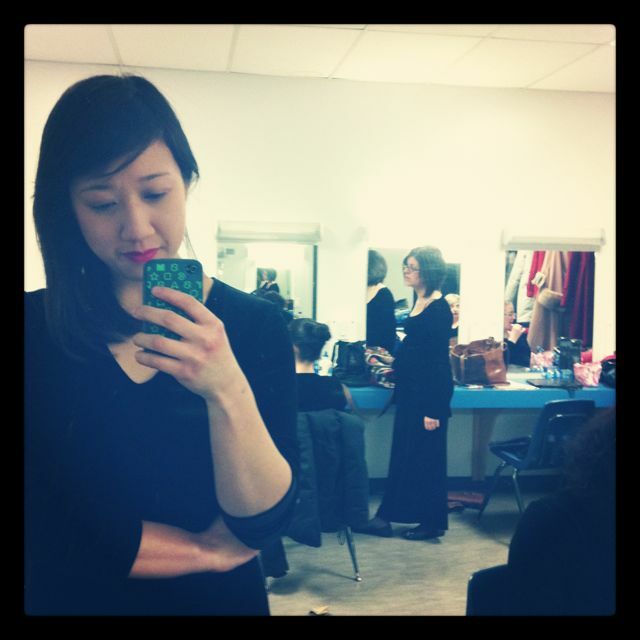 The Pro Coro concert out in Sherwood park was intimate and the audience was extremely appreciative. While it was a draining process to prepare with consecutive rehearsals from Sunday to Wednesday and braving the snowy commute to Sherwood Park, it was nice to share our music with a different audience. This is also my first Christmas where I don't have any academic obligations. No Master's thesis defense, no thesis edits, no final exam studying, no scrambling to finish up paperwork for clinical placements... it actually has resulted in a really manageable season. I only sing when I want to sing. It's a luxury I haven't had in the past. I was able to pick up a few caroling gigs with my previous women's choir, Belle Canto, which included singing at some lovely venues, such as Fort Edmonton Park. 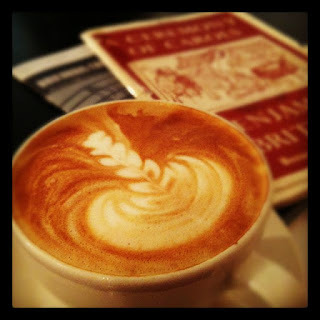 There's something about caroling inside while the snow softly drifts outside upon historical Edmonton houses from 1905. I sang with some ladies which I haven't seen since Ottawa when we were at the Podium choir conference in May. There is just something so comforting when you are singing amongst familiar voices. I even saw some friendly audience faces: a fellow Pro Coro chorister singing at the historical church down the street and a friend from University who was working at Fort Edmonton. During my break, she tried to convince me to sit on "Father Christmas'" lap, I declined once I learned that Father Christmas was actually younger than me. I even had the time to take in some Christmas concerts. 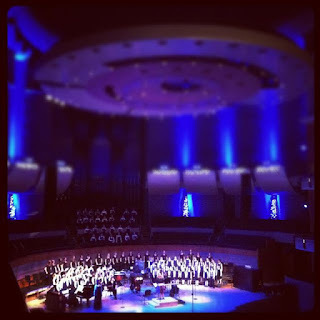 One being the Edmonton Symphony Orchestra performance of Handel's "Messiah" with the University of Alberta Madrigal Singers, Alumni, and members of Richard Eaton Singers. The other concert was the Cantilon Choirs' "Dancing Day" concert. It was my first time ever watching a Cantilon Christmas concert and not singing in it. I was surprised at how relaxing it is was being on the other side of the stage as an audience member. The first half was structured more like a Christmas pageant highlighting carols from around the world and the second half included Rutter's "Dancing Day" performed by Belle Canto and the Cantilon Chamber Choir. It was fitting since the Chamber Choir just released their Christmas c.d. "The Time of Snow," where they recorded "Dancing Day." One of my favorite parts was the audience carols since it meant that I got to be conducted by Heather Johnson once again. When she gestures... I sing. I don't think that my programmed chorister discipline will ever escape me. 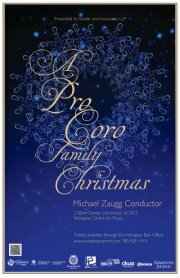 My Christmas singing obligations come to a close this Sunday for Pro Coro's Family Christmas concert. If you are in town, I recommend you come out to hear the harp playing of Keri Lynn Zwicker, Jeremy Spurgeon at the organ, Tommy Banks narrating "The Little Match Girl," and the voices of my fellow Pro Coro singers filling the hall with Christmas cheer. Until next time readers, have a happy holidays!